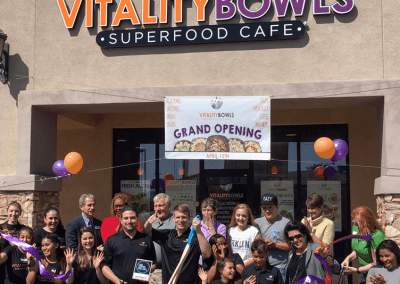 Vitality Bowls Blue Diamond in Las Vegas opened April 2017 as the company’s first Nevada café. 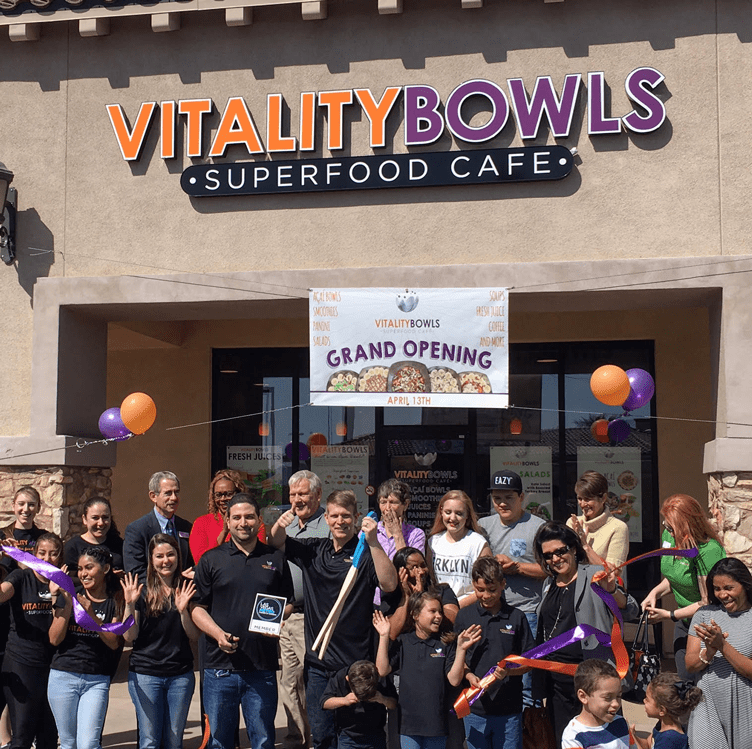 Located in the Albertsons Shopping Center at 4870 Blue Diamond Road, it’s conveniently situated at the busy intersection of Blue Diamond Road and Decatur Blvd. 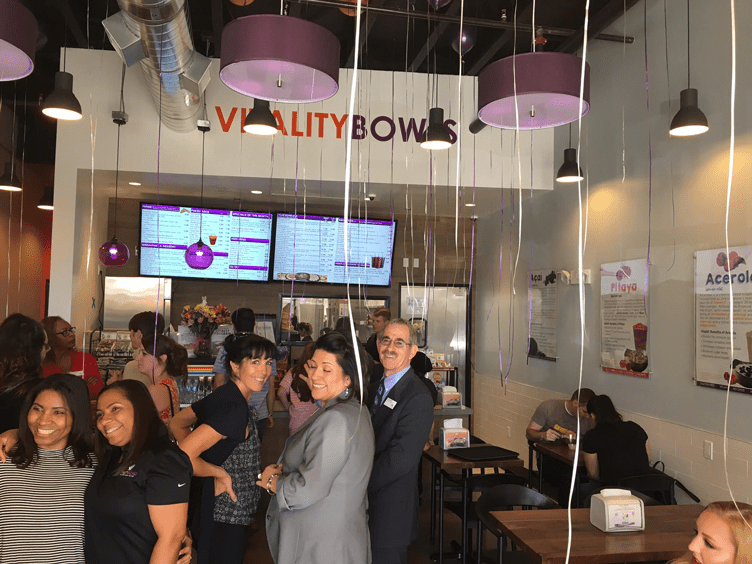 Just a few miles from the Las Vegas Strip, Vitality Bowls Blue Diamond is perfect for those looking for healthier options. The local favorite for hot desert days include the Green Bowl – Graviola, Almond Milk, Dates, Spirulina, Spinach, Kale, Strawberries, and Bananas; topped with Organic Granola, Bananas, Kiwi, Hemp Seeds, and Honey as well as the Tropical Paradise smoothie – Organic Açaí, Mango Juice, Coconut Milk, Bananas, Pineapple, and Strawberries. 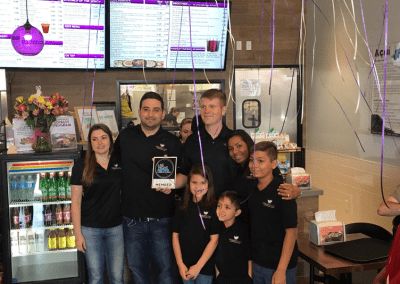 In addition to acai bowls and smoothies, the café’s fresh juices, Panini, salads and soups are also very popular. 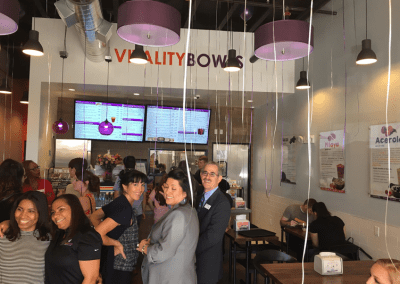 The location offers its entire menu for catering. 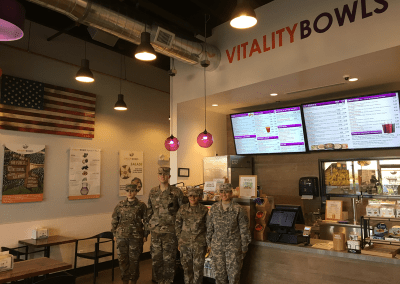 Charlie Belcher, local resident and military professional, as well as Antonio Mesquita own Vitality Bowls Blue Diamond. Mesquita, who grew up eating acai bowls in his hometown in Brazil loved Vitality Bowls right away for its authentic taste. 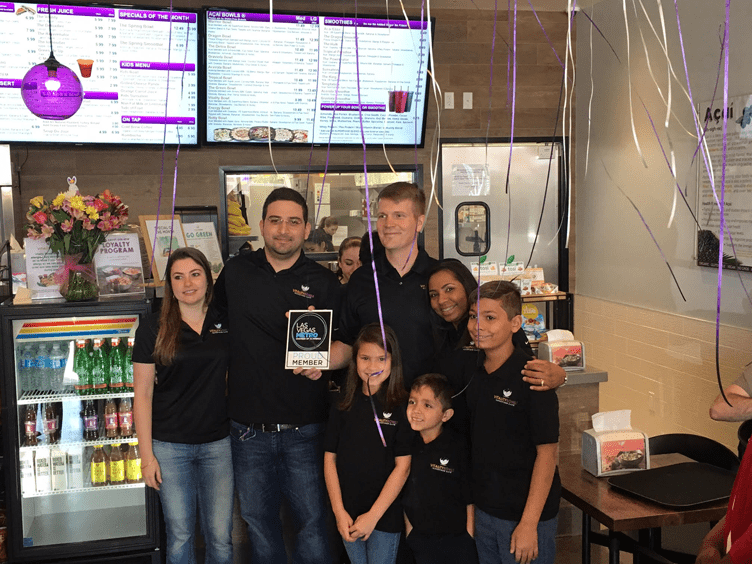 “I was only able to buy their juice there, so I have to come back to REALLY try their stuff. I got the detoxifier juice which had ginger, cucumber, coconut juice, and lemon juice. I asked for extra ginger (+$1). It was so good! So good that I wanted to try to make my own rendition of it. Of course, it wasn’t the same.